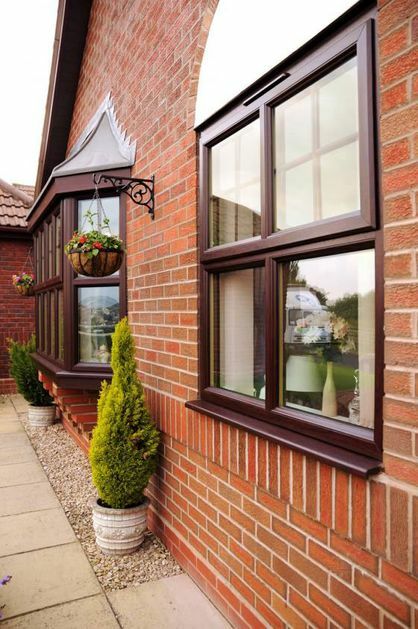 Rydale Windows (Manufacturing) Ltd has over 30 years experience, and are a major supplier of quality PVCu installations of windows, doors, conservatories, porches, orangeries and fascia & soffit boards throughout the West Midlands. With a complete range of sizes, shape, finishes and glass designs the options are endless. We provide a made to measure service so if you need advice on getting the right windows for your home just ask! From the most decorative to the simplest designs we provide a complete range of entrance doors that you can adapt to suit your individual needs. Our doors are available in a choice of wood effect and foiled finishes to match your windows to give a stylish and co-ordinated finish. Conservatories have a dramatic effect on your home and quality of life. 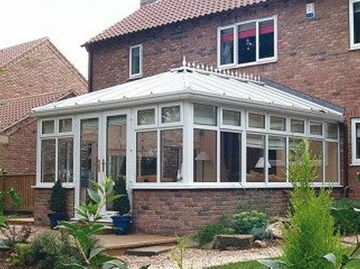 Not only will a conservatory provide you with more space and flexibility, this whole new living area will add a new dimension to your home and garden. Rydale Windows (Manufacturing) Ltd manufacture all of their window units and window frames at their own factory premises ensuring you receive the highest quality and best purchase price. 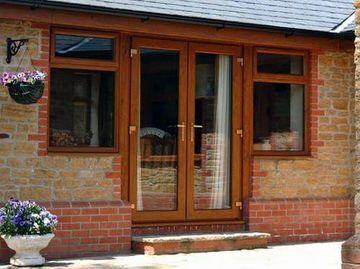 Rydale Windows (Manufacturing) Ltd are based in Halesowen in the West Midlands, specialising in the supply, fitting and manufacture of Windows, Doors & Conservatories. All our products are fabricated 'in house' utilising our own specialist PVCu manufacturing plant based in Halesowen near Birmingham in the West Midlands. If you would like to discuss your needs and want to find the ideal solution for your home, then please ensure you get in touch today. All installations are fully supervised from initial design through to final installation by expert Rydale operatives! 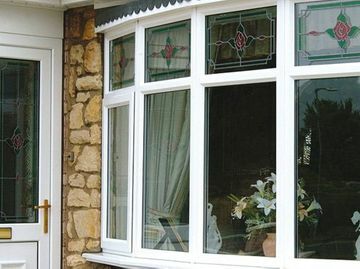 Rydale Windows (Manufacturing) Ltd provide complete customer satisfaction and therefore every product comes with an insurance backed fully comprehensive 10 year guarantee. The company is Certass registered and Fair Trades and No Rogue Traders Here approved. In addition the company is fully compliant with Document L Building Regulations. Our approach ensures a consistently high level of quality control and also allows our customers to achieve considerable savings by buying direct. At Rydale our focus has always been on offering high quality products backed by market leading customer service – no other local company has the experience of our well established team. In fact, we are so confident in the quality of our products that we guarantee that nobody can break-in through our windows or doors! Buying new windows and doors, planning a conservatory or any other work on your property is a big commitment, so we believe it is important you spend time looking at the various options and discussing them with our experienced sales consultants. We never ask for a deposit or stage payments, you only pay when the installation is fully completed. * This guarantee covers the products where access has been gained and not products damaged during an attempted break in. April 2002 saw the introduction of NEW Building Regulations in England and Wales designed to set standards for energy efficiency (conservation of fuel and power in buildings) - these Regulations are known as Document ‘L’. The Document ‘L’ Building Regulations apply to virtually all new buildings in England and Wales, and to extensions, alterations and change of use of existing buildings. They provide legislation and guidance to the building, construction and home improvement installation industry. With effect from 1st April 2002 any windows, rooflight or doors having more than 50% glazing need to comply with the new regulations. These regulations also apply to conservatories attached to a building. This means that the combined frame and double glazing units will need to be more efficient and must be tested and certified to comply. In October 2010, the Government’s Approved Document ‘L’ (Fuel Conservation) was issued and extends Building Regulations to cover replacement window and door installations, requiring them to comply with improved energy efficiency. One of the main drivers is the need to reduce heat loss in order to conform to more stringent energy efficiency targets. Glass products will be expected to have lower heat loss, measured by their ‘U’ value. Rydale Windows (Manufacturing) Ltd’s installations all comply with the requirements of Document ‘L’ in terms of the glass and materials used in the manufacture of Windows, Doors and Conservatory installations.We have gone to great lengths to ensure your peace of mind.